Hi, I’m Eileen. Pleased to meet you! I am an author, public speaker, and a woman with autism and sensory processing disorder. Minneapolis is home with my husband, and grown children and step-children. 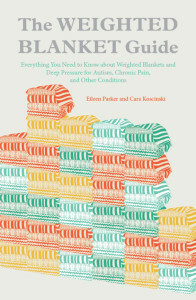 My first book is The Weighted Blanket Guide, and the next one is on autism. “I am a rock; I am an island,” sang Simon and Garfunkel over and over again, and over and over. I didn’t realize until later what the phrase meant. I am fortunate to have had my first years without TV. In the village, back in the 60s and 70s, there were no dish or cable, or satellite phones, or cars and roads. In that northern Canadian village we had Ski-Doos, boats, and airplanes. We had a plane, a blue and yellow Piper Cub with the call letters CF-NTN. To start the plane, my dad had to pull on the prop (propeller) to get it started, much like starting a lawnmower. To land, it used floats in the summer and skis in the winter. At freeze-up and break-up no one got in or out. Mum said I didn’t talk, and she didn’t know if I couldn’t or wouldn’t or just didn’t. But, life was good. My friends were Johnny Cash, Tommy James, Loretta Lynn, Marilyn McCoo, Helen Reddy, Merle Haggard, and Hank Williams, Sr., to name a few. I had a lynx pelt to sleep on, which was much softer than the albino beaver pelt in the living room. I wasn’t living in a lean-to; I had sheets and blankets like others, but I loved petting the lynx. These days, it would be horrifying to people, but that’s the way it was back then. At fur trade time at the Hudson’s Bay store, I went in the back and rolled around in the furs even though they stank because I loved the feeling. Eventually I did talk, and my mother discovered one day when she had a friend over with her two girls, that I was fluent in Ojibwe also. Technically, because the village was on the border of the Ojibwe and Cree nations, the language was Oji-Cree. We left and went south to Thunder Bay, Ontario where our families lived. Thankfully, my parents divorced, but it was really tough financially, but Mum was adamant that we have piano lessons and sports. Mum thought my social ineptitude was the result of skipping grades, so she put a stop to it. Skipping grades certainly didn’t help, but the actual cause was autism, and kids like me fell through the cracks. I’ll skip talking about high school because it was hell. Maybe another day I will talk about it. At 18, I moved north again, this time to Thompson in northern Manitoba. It was on the tree line and a short train ride to Churchill where tourists flocked to see the polar bears. I wouldn’t go there because if you see a polar bear, it’s too late. In high summer, the sun would slide down for hours, not like closer to the equator where it suddenly sinks or rises. It lingered a bit, and then began its slow ascent. And, oh, the northern lights! I would float on my back in some lake or another and watch the world light up with moving color. There were no shadows. You see, the sun is in one point in the sky so it casts a shadow; northern lights are the entire sky, so a boulder would light up the same on either side. Then I would quickly dunk under the water to escape the horse and deer flies. Yes, the mosquitoes were bad since they had plenty of breeding ground in the muskeg that sat atop the permafrost. At 25, fast forward to Minneapolis—the Deep South for this Canadian girl. I had a rocky marriage then divorced. I spent days online learning about it. It all made sense now. I was glued to groups on Delphi Forums. Facebook came along, but I didn’t have the anonymity to feel free to exchange, and the phrase, “Just be yourself,” didn’t work for me. This writing came about because I didn’t know what to write for my bio, so I asked on FB. TyAnn and Nancy said that I didn’t share about myself. At 51, I have years of experience to share about autism. Life is good now. I love the lush foliage here in Minnesota; I like that the state sprays for mosquitoes in the metro; and I love my handsome American husband. 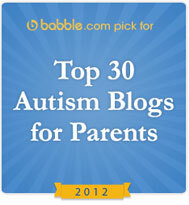 I’m working on my next book, on autism. I’m also taking up public speaking! Friend me on Facebook. I promise I will be more forthcoming!